Solana Beach, CA — August 29, 2017 — Hookit announced today it has raised $16M in growth capital to continue fueling its meteoric growth in the new media, data-driven and insight focused sports sponsorship analytics space – an industry and approach the company pioneered nearly five years ago. The investment was led by Santa Monica, CA-based growth equity firm Arrowroot Capital, which focuses on software-as-a-service (SaaS) and technology-based businesses. Other participants in the round included Bialla Ventures, Social Starts and existing private investors. The additional funding will help Hookit continue to push the boundaries of new technologies in machine learning and predictive analytics to support and empower the sports industry. Building on this momentum, Hookit will use the additional financing to continue expanding its global reach, accelerate innovation of its award winning, market-leading platform and grow its talented team to serve a growing list of major customers and partners worldwide. Hookit is the leading sponsorship analytics and valuation platform. As consumption and fan engagement of sports grows exponentially on social and digital media, Hookit helps brands to maximize sponsorship investments and empowers athletes, teams, leagues and federations to prove and increase their value to sponsors. Hookit measures value across multiple social and digital platforms by analyzing overall engagement and brand promotion, including mentions, hashtags, keywords and logos within photos and videos using computer vision software. Hookit’s Valuation Methodology (HVM) was awarded The 2016 Digital Marketing Association’s Innovation Award for Valuation and Attribution. 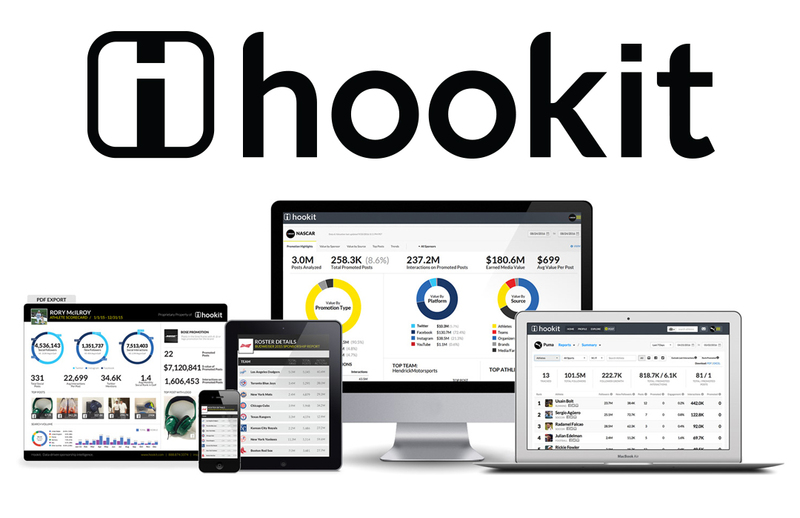 Hookit’s growing roster of marquis clients includes GoPro, Monster Energy, Sony, Vans, Asics, Major League Soccer, Canadian Olympic Team, World Surf League, FIS, NHRA, PGA European Tour, McLaren Honda F1, Speedway Motorsports Inc., BF Goodrich/Michelin, Liverpool FC, United States Ski and Snowboard Association and Feld Entertainment. Hookit is based in Solana Beach, CA. For more information, visit www.hookit.com.